Sudden Strike is back! 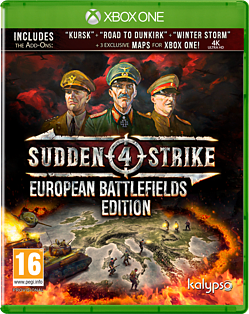 The beloved Real Time Strategy series returns, this time with bigger battlefields, more units, better graphics, new scenarios and legendary commanders with individual abilities - all of which makes Sudden Strike 4 more tactical and realistic than ever before! Sudden Strike 4 offers countless ways to vanquish your opponents. Exploit the weak spots of tanks, set up an ambush, occupy buildings with infantry, outmaneuver the enemy with clever positioning or unleash devastating air strikes - how you approach each mission is up to you!